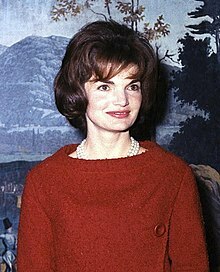 Jacqueline Lee Kennedy Onassis (née Bouvier /ˈbuːvieɪ/; July 28, 1929 – May 19, 1994) was an American socialite[according to whom?] and First Lady of the United States during the presidency of John F. Kennedy from January 1961 until his assassination in November 1963. After almost a decade of avoiding participation in political events, she attended the 1976 Democratic National Convention and stunned the assembled delegates when she appeared in the visitors' gallery. 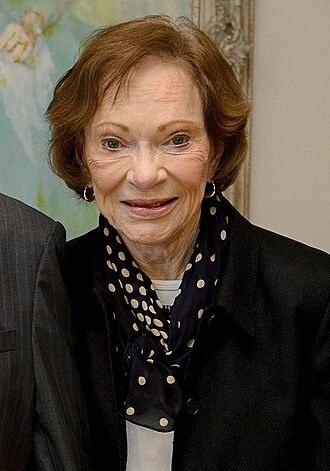 She resigned from Viking Press in 1977 following the false accusation by The New York Times that she held some responsibility for the company's publication of Jeffrey Archer novel Shall We Tell the President?, which was set in a fictional future presidency of Ted Kennedy and described an assassination plot against him. Two years later, she appeared alongside her mother-in-law Rose Kennedy at Faneuil Hall in Boston when Ted Kennedy announced that he was going to challenge incumbent president Jimmy Carter for the Democratic nomination for president. She participated in the subsequent presidential campaign, which was unsuccessful. Wong, Aliza Z. (2010). Julie Willett, ed. The American beauty industry encyclopedia: Hairstylists, Celebrity. Santa Barbara, Calif.: Greenwood. pp. 151–154. ISBN 9780313359491. The body of President Kennedy was brought back to Washington soon after his death and placed in the East Room of the White House for 24 hours. On the Sunday after the assassination, his coffin was carried on a horse-drawn caisson to the U. S. Capitol to lie in state. Throughout the day and night, hundreds of thousands lined up to view the guarded casket, representatives from over 90 countries attended the state funeral on Monday, November 25. 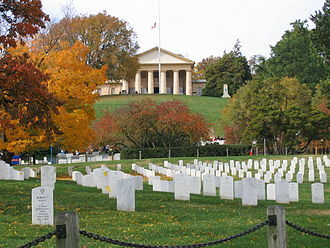 After the Requiem Mass at St. Matthews Cathedral, the president was buried at Arlington National Cemetery in Virginia. After John F. Kennedy was assassinated in Dallas, his body was flown back to Washington, at the same time, military authorities began making arrangements for a state funeral. 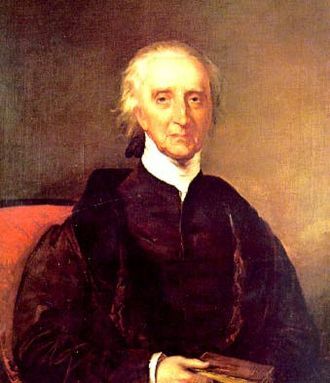 Wehle, the general of the Military District of Washington. Miller, chief of ceremonies and special events at the MDW and they headed to the White House and worked with the presidents brother-in-law, Sargent Shriver, director of the Peace Corps, and Ralph Dungan, an aide to the president. Because Kennedy had no plan in place, much of the planning rested with the CG MDW. The day after the assassination, the new president, Lyndon B, issued Presidential Proclamation 3561, declaring Monday to be a national day of mourning, and only essential emergency workers to be at their posts. 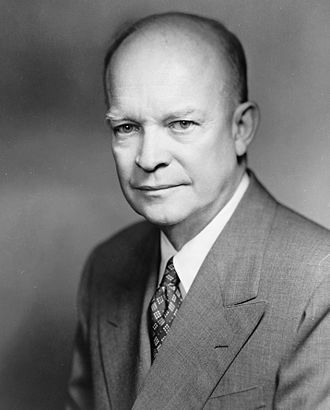 He read the proclamation over a radio and television broadcast at 4,45 p. m. from the Fish Room at the White House. Several elements of the funeral paid tribute to Kennedys service in the Navy during World War II. They included a member of the Navy bearing the flag, the playing of the Navy Hymn, Eternal Father, Strong to Save. 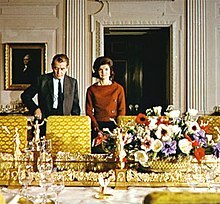 Then Kennedys body was put in a new casket in place of the bronze casket which was used to transport the body from Dallas. 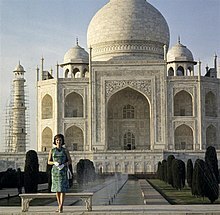 The bronze casket had been damaged in transit, and was disposed of by the Air Force in the Atlantic Ocean so that it would not fall into the hands of sensation seekers. The body of President Kennedy was returned to the White House at about 4,30 a. m, the motorcade bearing the remains was met at the White House gate by a Marine honor guard, which escorted it to the North Portico. Dallas is a major city in the U. S. state of Texas. It is the most populous city in the Dallas–Fort Worth metroplex, the citys population ranks ninth in the U. S. and third in Texas after Houston and San Antonio. The citys prominence arose from its importance as a center for the oil and cotton industries. The bulk of the city is in Dallas County, of which it is the county seat, sections of the city are located in Collin, Denton and Rockwall counties. 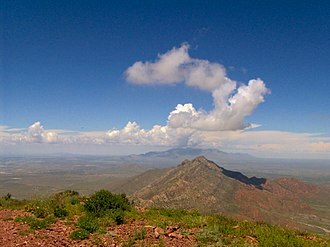 According to the 2010 United States Census, the city had a population of 1,197,816, the United States Census Bureaus estimate for the citys population increased to 1,300,092 as of July 1,2015. In 2016 DFW ascended to the one spot in the nation in year-over-year population growth. In 2014, the metropolitan economy surpassed Washington, D. C. to become the fifth largest in the U. S. with a 2014 real GDP over $504 billion, as such, the metropolitan areas economy is the 10th largest in the world. As of January 2017, the job count has increased to 3,558,200 jobs. The citys economy is based on banking, telecommunications, energy and medical research. The city is home to the third-largest concentration of Fortune 500 companies in the nation. Located in North Texas, Dallas is the core of the largest metropolitan area in the South. Dallas and nearby Fort Worth were developed due to the construction of railroad lines through the area allowing access to cotton, cattle. 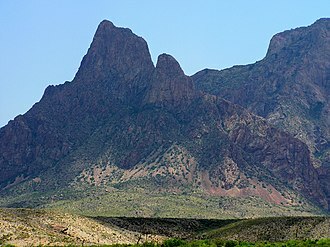 Later, France claimed the area but never established much settlement, the area remained under Spanish rule until 1821, when Mexico declared independence from Spain, and the area was considered part of the Mexican state of Coahuila y Tejas. In 1836, the Republic of Texas, with majority Anglo-American settlers, in 1839, Warren Angus Ferris surveyed the area around present-day Dallas. 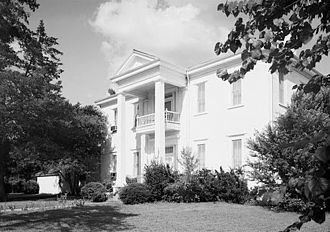 John Neely Bryan established a permanent settlement near the Trinity River named Dallas in 1841, the origin of the name is uncertain. The Republic of Texas was annexed by the United States in 1845, Dallas was formally incorporated as a city on February 2,1856. Wall Street is an eight-block-long street running roughly northwest to southeast from Broadway to South Street, at the East River, in the Financial District of Lower Manhattan in New York City. 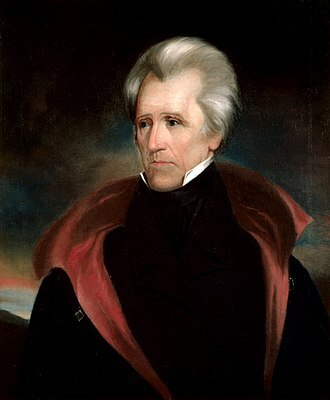 Over time, the term has become a metonym for the markets of the United States as a whole. Several other major exchanges have or had headquarters in the Wall Street area, including the New York Mercantile Exchange, the New York Board of Trade, there are varying accounts about how the Dutch-named de Walstraat got its name. A conflicting explanation is that Wall Street was named after Walloons— the Dutch name for a Walloon is Waal, among the first settlers that embarked on the ship Nieu Nederlandt in 1624 were 30 Walloon families. The Dutch word wal can be translated as rampart, even some English maps show the name as Waal Straat, and not as Wal Straat. But soon after that, the Dutch governor, sent his men out there one night, few of them escaped, but they spread the story of what had been done, and this did much to antagonize all the remaining tribes against all the white settlers. 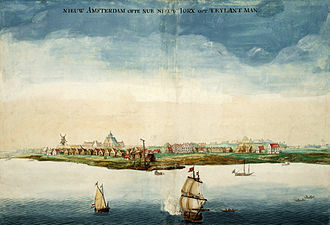 Shortly after, Nieuw Amsterdam erected a palisade for defense against its now enraged red neighbors. The space between the walls is now called Wall Street, and its spirit is still that of a bulwark against the people. In the 1640s basic picket and plank fences denoted plots and residences in the colony, in 1685, surveyors laid out Wall Street along the lines of the original stockade. In these early days, local merchants and traders would gather at disparate spots to buy and sell shares and bonds, Wall Street was the marketplace where owners could hire out their slaves by the day or week. 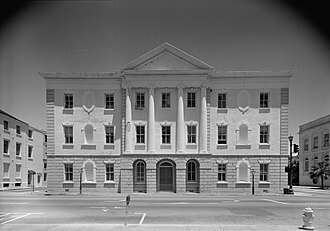 The rampart was removed in 1699, the slave market operated from 1711 to 1762 at the corner of Wall and Pearl Streets. It was a structure with a roof and open sides, although walls may have been added over the years. 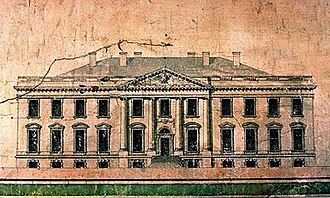 The city directly benefited from the sale of slaves by implementing taxes on every person who was bought, in the late 18th century there was a buttonwood tree at the foot of Wall Street under which traders and speculators would gather to trade securities. 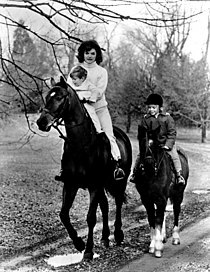 Patrick Bouvier Kennedy was the last child of United States President John F. Kennedy and First Lady Jacqueline Bouvier Kennedy. His birth weight was 4 pounds 10 1⁄2 ounces, shortly after birth, he developed symptoms of hyaline membrane disease, now called infant respiratory distress syndrome. He was transferred to Boston Childrens Hospital where he died two days later, following treatment in a hyperbaric chamber. At that time, all that could be done for a baby with hyaline membrane disease was to make efforts to keep the blood chemistry as close to normal as possible. A funeral mass was held on August 10,1963, in the chapel of Cardinal Richard Cushing in Boston. 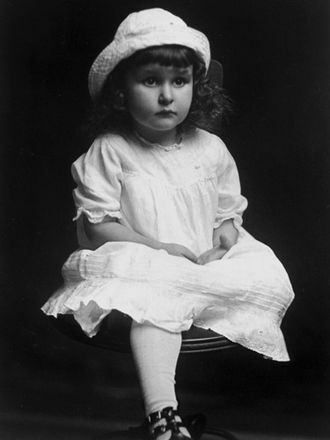 The child was buried at Holyhood Cemetery in Brookline, Massachusetts. The First Lady and the President were deeply affected by the death, upon their departure from Otis Air Force Base, the couple – seldom publicly affectionate – were seen holding hands. Secret Service agent Clint Hill recalled the couple having a closer relationship that was visible following Patricks death. 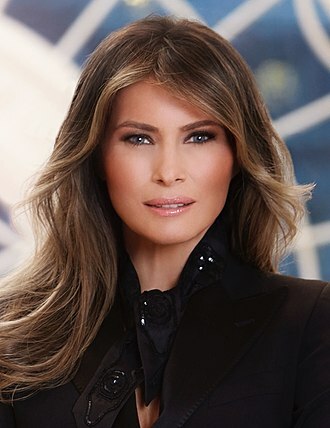 First Lady of the United States is the informal but accepted title held by the wife of the President of the United States, concurrent with the presidents term of office. Although the first lady’s role has never been codified or officially defined, melania Trump is the current First Lady. 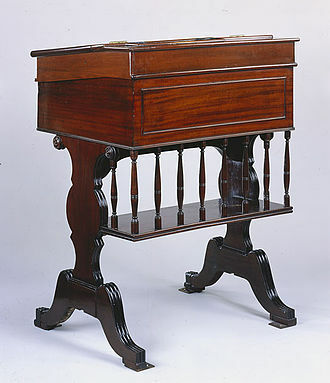 While the title was not in use until much later, Martha Washington, the wife of George Washington. During her lifetime she was referred to as Lady Washington. Since the 1790s the role of first lady has changed considerably and it has come to include involvement in political campaigns, management of the White House, championship of social causes, and representation of the president at official and ceremonial occasions. Additionally, over the individual first ladies have held influence in a range of sectors. 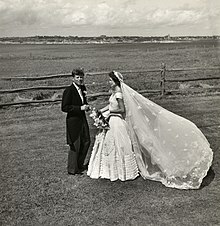 Historically, should a president be unmarried, or a widower, the use of the title First Lady to describe the spouse or hostess of an executive began in the United States. In the early days of the republic, there was not a generally accepted title for the wife of the president. 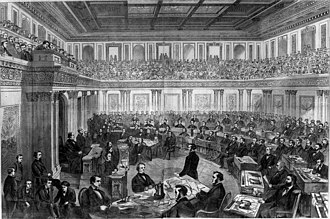 Indulging in no indolence, she left the pillow at dawn, sometime after 1849, the title began being used in Washington, D. C. social circles. The title first gained recognition in 1877, when newspaper journalist Mary C. Ames referred to Lucy Webb Hayes as the First Lady of the Land while reporting on the inauguration of Rutherford B, the frequent reporting on Lucy Hayes activities helped spread use of the title outside Washington. 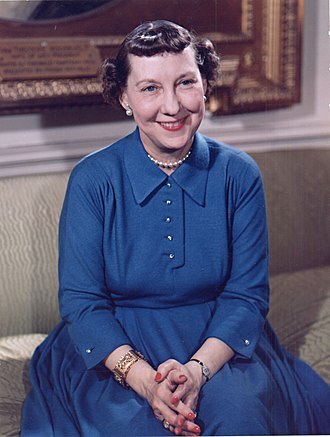 A popular 1911 comedic play about Dolley Madison by playwright Charles Nirdlinger, titled The First Lady in the Land, by the 1930s, it was in wide use. 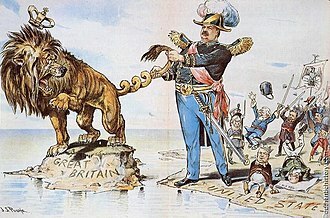 Use of the spread from the United States to other nations. The wife of the Vice President of the United States is sometimes referred to as the Second Lady of the United States, the position of the First Lady is not an elected one and carries only ceremonial duties. Nonetheless, first ladies have held a highly visible position in American society, the role of the First Lady has evolved over the centuries. She is, first and foremost, the hostess of the White House and she organizes and attends official ceremonies and functions of state either along with, or in place of, the president. 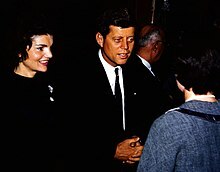 On November 22,1963, John F. Kennedy, the 35th President of the United States, was fatally shot in Dallas, Texas while riding in a motorcade in Dallas Dealey Plaza, at 12,30 p. m. Fatally shot by Lee Harvey Oswald, he was traveling with his wife, Texas Governor John Connally, Kennedys death marked the fourth and most recent assassination of an American President. 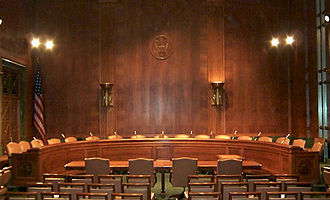 The Committee was not able to identify any individuals or groups involved with the conspiracy, in addition, the HSCA found that the original federal investigations were seriously flawed in respect of information-sharing and the possibility of conspiracy. As recommended by the HSCA, the evidence indicating conspiracy was subsequently re-examined and rejected. 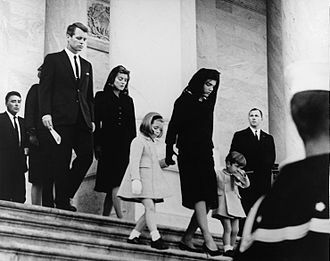 However, Kennedys assassination is still the subject of debate and has spawned numerous conspiracy theories. 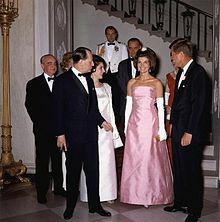 Polling in 2013 showed that 60% of Americans believe that a group of conspirators was responsible for the assassination, President Kennedy traveled to Texas to smooth over frictions in the Democratic Party between liberals Ralph Yarborough and Don Yarborough and conservative John Connally. 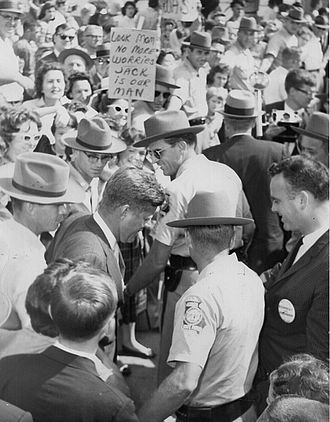 A presidential visit to the state of Texas was first agreed upon by Lyndon B. Johnson, President John F. Kennedys vice president, and Texas native, President Kennedys trip to Dallas was first announced to the public in September 1963. 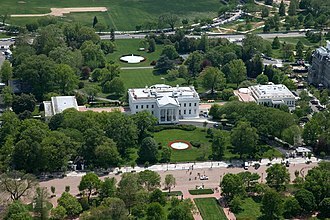 The exact motorcade route was finalized on November 18 and announced to the public a few days before November 22, the White House staff informed the Secret Service that the President would arrive there via a short flight from Carswell Air Force Base in Fort Worth to Dallas Love Field. 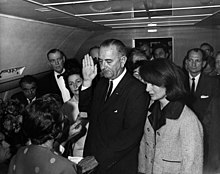 Leaving from Dallas Love Field,45 minutes had been allotted for the motorcade to reach the Trade Mart at an arrival time of 12,15 p. m. The actual route was chosen to be a meandering 10-mile route between the two places, which could be driven slowly in the allotted time, on November 14, both men attended a meeting at Love Field and drove over the route that Sorrels believed best suited for the motorcade. From Love Field, the route passed through a portion of Dallas, through Downtown along Main Street. 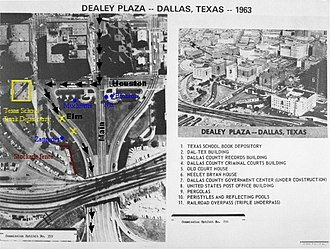 The planned route to the Trade Mart was widely reported in Dallas newspapers several days before the event, for the benefit of people who wished to view the motorcade. The route on Main Street precluded a direct turn onto the Fort Worth Turnpike exit, the Texas School Book Depository was situated at this corner of Houston and Elm. Three vehicles were used for Secret Service and police protection in the Dallas motorcade, the first car, an unmarked white Ford, carried Dallas Police Chief Jesse Curry, Secret Service Agent Win Lawson, Sheriff Bill Decker and Dallas Field Agent Forrest Sorrels. The second car, a 1961 Lincoln Continental convertible, held driver Agent Bill Greer, SAIC Roy Kellerman, Governor John Connally, Nellie Connally, President Kennedy, Secret Service agents Clint Hill, Jack Ready, Tim McIntyre and Paul Landis rode on the running boards. By the time the motorcade reached Dealey Plaza, they were five minutes away from their planned destination. At 12,30 p. m. President, you cant say Dallas doesnt love you and those were the last words ever spoken by John F.
Maurice Tempelsman is a Belgian-American businessman and diamond merchant. 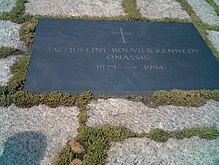 He was the companion of Jacqueline Kennedy Onassis, former First Lady of the United States. Tempelsman was born on August 26,1929 in Antwerp, Belgium, in 1940, Tempelsman and his family emigrated to the United States to escape persecution by Nazi Germany during World War II. When he was 16, Tempelsman began working for his father and he attended New York City’s public schools and New York University. His contacts eventually ranged from South African anti-apartheid politician Oliver Tambo to Zaires kleptocratic dictator, Mobutu Sese Seko and the influential Oppenheimer diamond family. Tempelsman is one of fewer than 90 ″sightholders″ in the world, because DeBeers was a virtual monopoly, for many years it could not operate legally in the United States. He is a partner of Leon Tempelsman & Son. Tempelsman maintains relations with political and business leaders, in particular government leaders in Africa and Russia and his extensive political contacts and monetary contributions often provide him with access and prestige in those markets, as was the case during the presidency of Bill Clinton. In Southern Africa, Tempelsman has played a key role in negotiations between hostile governments and companies engaging in diamond exploration and he met with Mobutu Sese Seko, to assist the regime’s business dealings with De Beers. In the 1960s Tempelsman hired as his business agent the CIA station chief in Kinshasa, Larry Devlin, who helped put Mobutu in power and afterward served as his personal adviser. From March 3,1977, Tempelsman briefly held the title of consul general for Zaire, now known as the Democratic Republic of Congo. In addition to the DRC, Tempelsman has played a key role in the industries of Angola, Namibia. Tempelsman served as chairman of the Corporate Council on Africa from 1999 to 2002 and again from 2007 to 2008, an example of his work with the CCA involved assisting government leaders with establishing the New Partnership for Africas Development. Tempelsman was a member of the Southern African Enterprise Development Fund. Tempelsman is a member of the Council on Foreign Relations, and was named a visitor to the Department of Classical Art at the Museum of Fine Arts, Boston. Scottish Americans or Scots Americans are Americans whose ancestry originates wholly or partly in Scotland. Scottish Americans are closely related to Scotch-Irish Americans, descendants of Ulster Scots, in the 2013 American Community Survey 5,310,285 were identified as Scottish and 2,976,878 of Scotch-Irish descent. 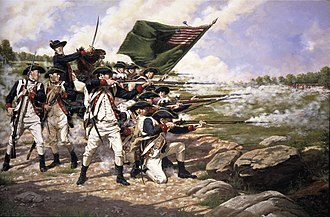 Large scale emigration from Scotland to America began in the 1700s after the Battle of Culloden where the Clan structures were broken up, the Scots went in search of a better life and settled in the thirteen colonies, mainly around South Carolina and Virginia. The table shows the ethnic Scottish population in the United States from 1700 to 2013, in 1700 the total population of the American colonies was 250,888, of whom 223,071 were white and 3. 0% were ethnically Scottish. In the 2000 census,4.8 million Americans self-reported Scottish ancestry,1. 7% of the total US population, another 4.3 million self-reported Scotch-Irish ancestry, for a total of 9.2 million Americans self-reporting some kind of Scottish descent. Americans of Scottish descent outnumber the population of Scotland, where 4,459,071 or 88. 09% of people identified as ethnic Scottish in the 2001 Census. A Christian bard from the Hebrides accompanied Bjarni Herjolfsson on his voyage around Greenland in 985/6 which sighted the mainland to the west. The first Scots recorded as having set foot in the New World were a man named Haki, the Scottish couple were runners who scouted for Thorfinn Karlsefnis expedition in c. 1010, gathering wheat and the grapes for which Vinland was named, the controversial Zeno letters have been cited in support of a claim that Henry Sinclair, earl of Orkney, visited Nova Scotia in 1398. 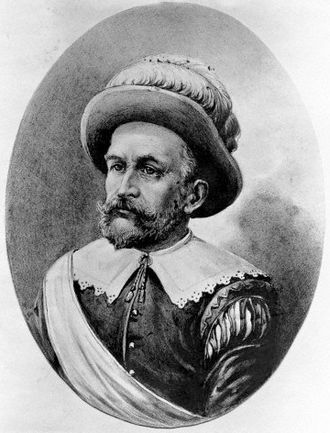 In the early years of Spanish colonization of the Americas, a Scot named Tam Blake spent 20 years in Colombia and he took part in the conquest of New Granada in 1532 with Alonso de Heredia. He arrived in Mexico in 1534-5, and joined Coronados 1540 expedition to the American Southwest, Scottish-American naturalist John Muir is perhaps best known for his exploration of Californias Sierra Nevada mountains during the 19th century. After the Union of the Crowns of Scotland and England in 1603, King James VI, a Scot, promoted joint expeditions overseas, the first permanent English settlement in the Americas, was thus named for a Scot. 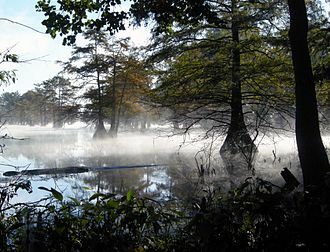 The earliest Scottish communities in America were formed by traders and planters rather than farmer settlers, the hub of Scottish commercial activity in the colonial period was Virginia. 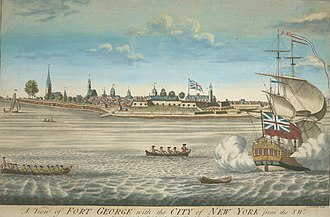 Regular contacts began with the transportation of indentured servants to the colony from Scotland, trade between Scotland and the American colonies was finally regularized by the parliamentary Act of Union of Scotland and England in 1707. Scots arriving in Florida and the Gulf Coast traded extensively with Native Americans, American bluegrass and folk music styles have roots in the Appalachian ballad culture of Scottish and the Scotch-Irish Americans. 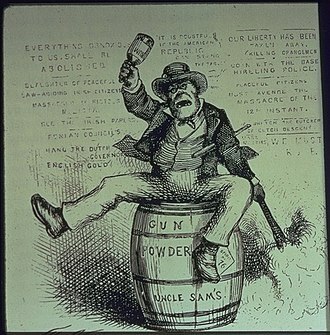 There has been a tradition of influences between Scottish American and African American communities. Psalm-singing and gospel music are a mainstay of African American churchgoers, the great influx of Scots Presbyterians into the Carolinas introduced African slaves to this form of worship. 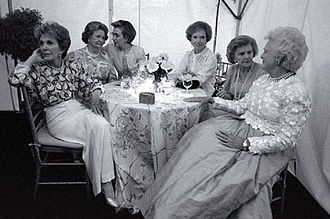 First Ladies (from left to right) Nancy Reagan, Lady Bird Johnson, Hillary Clinton, Rosalynn Carter, Betty Ford, and Barbara Bush at the "National Garden Gala, A Tribute to America's First Ladies", May 11, 1994. 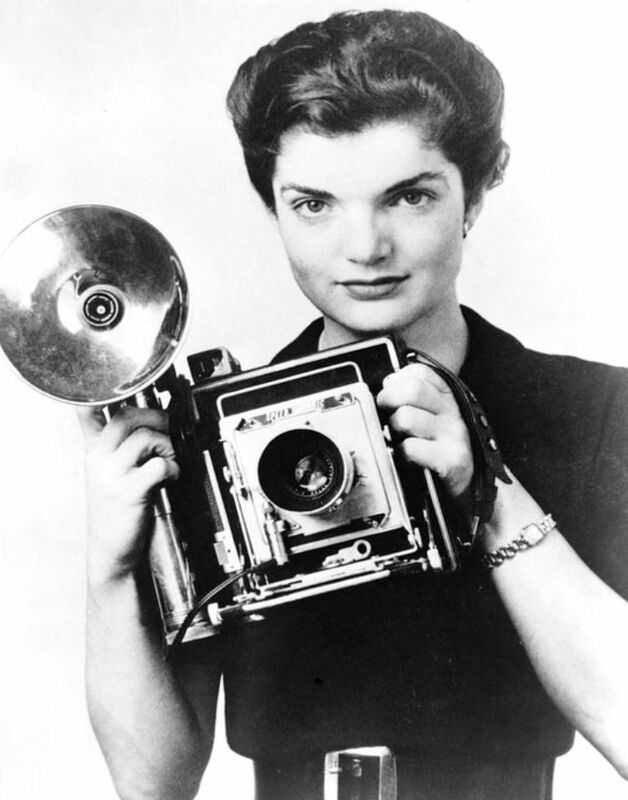 Jacqueline Kennedy Onassis, absent due to illness, died a week after this photograph was taken. 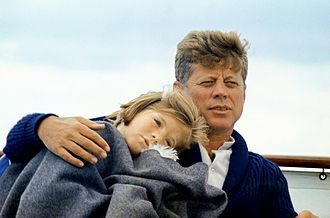 Caroline with her father aboard the yacht Honey Fitz off the coast of Hyannis, Massachusetts at age five, August 25, 1963. Kennedy spoke during the first night of the 2008 Democratic National Convention in Denver, Colorado, on August 25, 2008, introducing her uncle, Senator Ted Kennedy. Kennedy makes her first statement after arriving at the Narita International Airport on November 15, 2013. 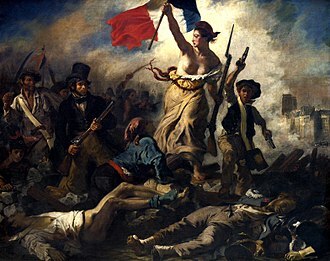 Paul Verlaine (far left) and Arthur Rimbaud (second to left) in an 1872 painting by Henri Fantin-Latour. Samuel Beckett Walk, Paris (France). Nobel Prize 1969. Seminar with Claude Simon, Cerisy (France). Nobel Prize 1985. French contemporary literature workshop with Marc Avelot, Philippe Binant, Bernard Magné, Claudette Oriol-Boyer, Jean Ricardou, Cerisy (France), 1980. 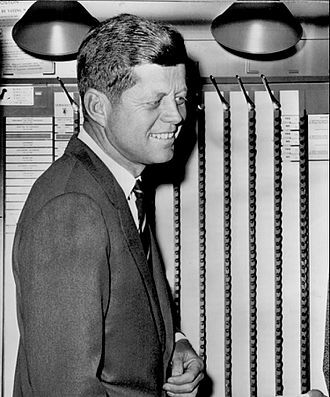 Kennedy cast his ballot at his polling place at a branch of the Boston Public Library. First Presbyterian Church - Oldest Presbyterian church in America was established in 1640 by Puritans from Lynn, Mass. Clock tower on wood gothic church built in 1843 and enlarged in 1895. First Presbyterian Church - Southampton Village on Main St.
Sam Houston was Scotch-Irish (Ulster Scots) descent, and namesake for the city of Houston, Texas. Statue of John Smith for the first English settlement in Historic Jamestowne, Virginia. The first self-governing document of Plymouth Colony. English Pilgrims signing the Mayflower Compact in 1620. 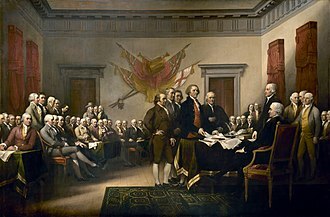 John Trumbull's famous painting, Declaration of Independence. American cultural icons, apple pie, baseball, and the American flag. Maurice Tempelsman sitting at a table with Nicolae Ceausescu (not in this detail of the photo) in Romania July 1974. The Simpson family. From left to right: Bart, Santa's Little Helper, Marge, Maggie, Homer, Lisa, and Snowball II.